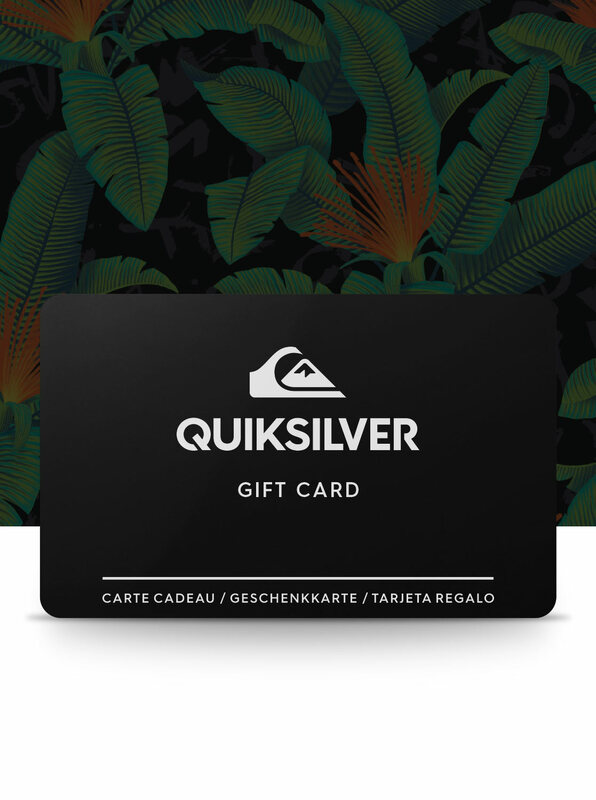 Quiksilver Gift Cards are available in any denomination from €25 to €2500 and can be used in Quiksilver, Roxy, and DC Shoes retail stores located in Europe (for more information click on our store locator here), or online at quiksilver.com, roxy.com and dcshoes.com. 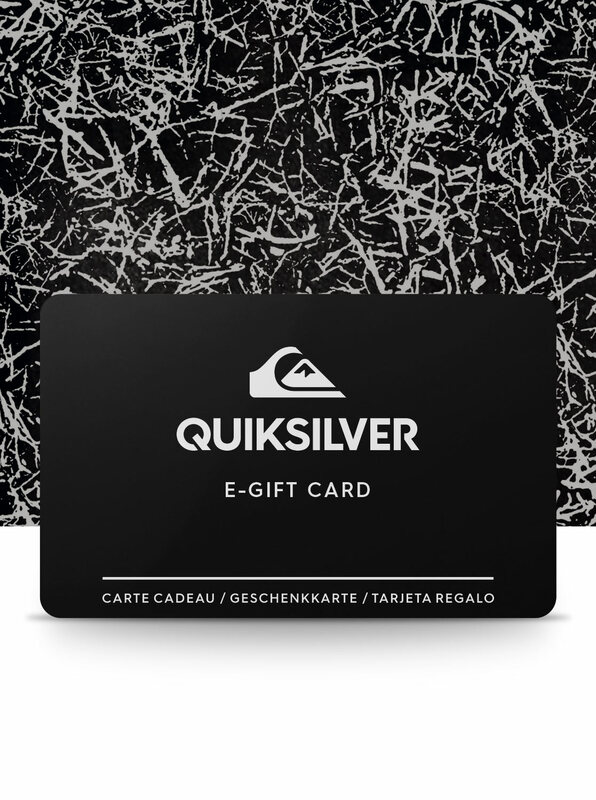 Quiksilver E-Gift Cards are the perfect instant gift choice and super easy to give! Simply fill out the form with all your details and we'll take care of the rest. You can choose to give any whole euro amount between €25 and €2000.